description ;; No-name's coat consists of a bland pallet of whites, ivories, golds, and a bit of grey splotched in some places. Her pelt carries a seemingly unnatural shimmer to it, a silky and soft to the touch look. Her fur clings closely to her body, revealing the fact that she carries little muscle mass. Her eyes are a magnificent azure that glimmer with a childish lust of attention and beauty. Her small, fragile, and curvy body provides well in the situation of stalking; light paw-steps echoing virtually no noise as she moves. No-name's body seems so fragile and thin with the greatest of grace. physical problems;; she doesn’t have great muscle, making her weak in the face of battle. personality ;; No-name is a nomadic fast-talker who is consumed with only herself. She is infatuated with only herself, her persona, her features – her everything. No-name may come off as a sweet, carefree, and totally lax and fine with everything kind of gal but that what you’ll see the next day. She’ll obsessively bother you for attention, forcing the burden of having someone who expects to be loved and admired every second of waking hours upon you. To define her as anything but the most beautiful, most amazing, most talented wolf would be an utter offense toward her ego, though it wouldn’t cause too much damage because she’d just shrug it off and pester you until you say differently. She can seem untouchable with her hugely inflated ego and unpredictable ways. There is nothing in the world that you can do to get her off your back but tell her what she wants to hear. The infamously known unprincipled narcissist is named with a very ironic title, No-name. She is a fraudulent princess who carries the delusion of being the most perfect thing to ever live. Everything about her seems (or at least to No-name) perfect; perfect blue eyes, perfectly silky coat, perfect stature, perfect perfectness – you name it and it’ll be perceived as perfect. This wolf requires to be stared at and admired every second of the day or she will go absolutely crazy for attention. She may be the best at deceiving, lying, and just being a flat out charlatan. She’ll tell you she loves you and then will break your heart. 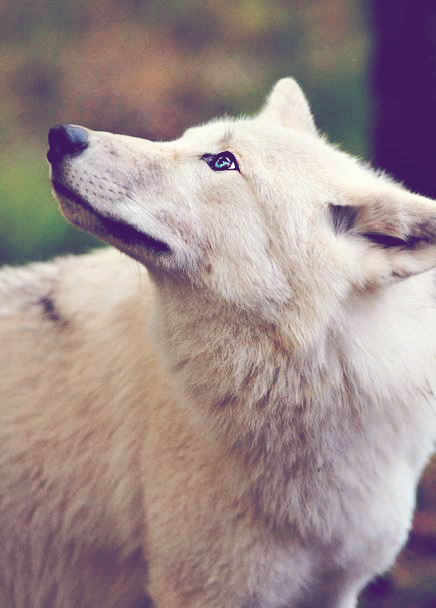 She is a heartbreaking, self loving, nomadic, no-named wolf. And you have to live with it. weaknesses ;; she does not have great strength and is obsessed with herself. strengths ;; extremely good liar, untouchable by criticism, high stamina. habits ;; No-name has a habit of calling everybody by the names of "love" and "darling," sometimes "dearie." She also seemingly talk to herself although when this happens she is hearing the occasional voices of her mind. history ;; No-name was drove off the edge of what is called sanity into a void of infatuation with herself by her childhood. She was constantly over praised for her pseudo accomplishments. Though this fact is true, No-name was badly beaten upon for her wrong doings. This provided great emotional distress for the young puppy that later assumed the identity of a rogue with no name. notes ;; As you read, No-name is a narcissistic nomad. If you have no clue as to what narcissism means, PLEASE look it up. I'll expect No-name's PD to be taken seriously and her antisocial PD features of pathological lying and manipulation to be perceived with extreme caution by the characters she comes in contact with. The sociopathic side of No-name MUST, at all costs, be taken with great heed by the RPer. The amazing feature about sociopaths is the fact that they can lie without anyone realizing it. Take that into mind, please. If all of this and the full embodiment of No-name isn't recognized by a role-player, mods and admins, be expecting a PM with my concerns. We are all over 12 years of age here and thus I expect us to be mature enough to understand what precautions need to be taken into account by the character and role-player when they encounter this nomadic character. I strive to make a more fulfilling world inside of role-play and I take problems seriously when it comes to someone not recognizing the full extent of a disordered character. Thank you.